A double-entry, multi-currency accounts package to manage expenses, invoice customers & keep track of how well your business is doing. Easy Books Reviews Recently Reviewed! A review of Easy Books. Pros: The platform is pristine and streamlined. It's sleek. 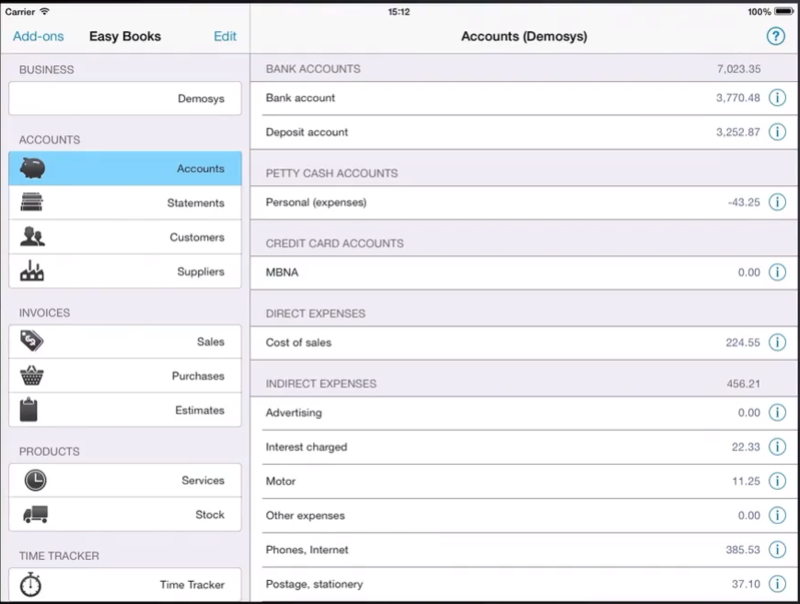 Easy Books is the most efficient Accounting application that we've had to date. It has been helpful in tracking our clients income and matching with associated costs. Figures are easily converted when necessary and the read-outs are non-cluttered and professional looking. Cons: It is subscription based. The pricing model seems expensive at first, but honestly for what you get, it is well-worth the expense. The various modules available are precisely what my firm needed in the realm of double-entry accounting, especially for dealing in various world currency, and multiple clients. Overall: Overall this smooth-operating book keeping application has so far been highly effective and useful. Again as far as accounting involving multi-currency exchanges it has been by far the easiest to handle. Perfect for keeping track of client business, expenses, depreciation, and invoicing.